« Day 201 in Beijing: Otak-Otak It Is! Day 202 in Beijing: Take a Shower! 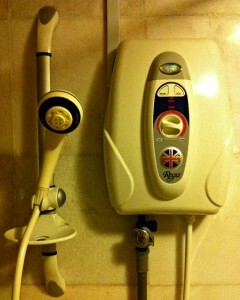 The showerhead and water heater for the shower. This may not be a little weird but I love checking out different showers around the world. The showers in Malaysia are quite similar to the showers in Bali. I visited Bali about 17 years ago when I was returning from living in Japan. I lived in Sendai, Japan for 1 year as I was a JET program teacher. It was a teaching program that both the United States and Japanese governments combined on to help students, and teachers, in Japan learn English and entertain the students. It also included teachers from pretty much every English speaking nation so it was quite enjoyable and a great way to make friends. 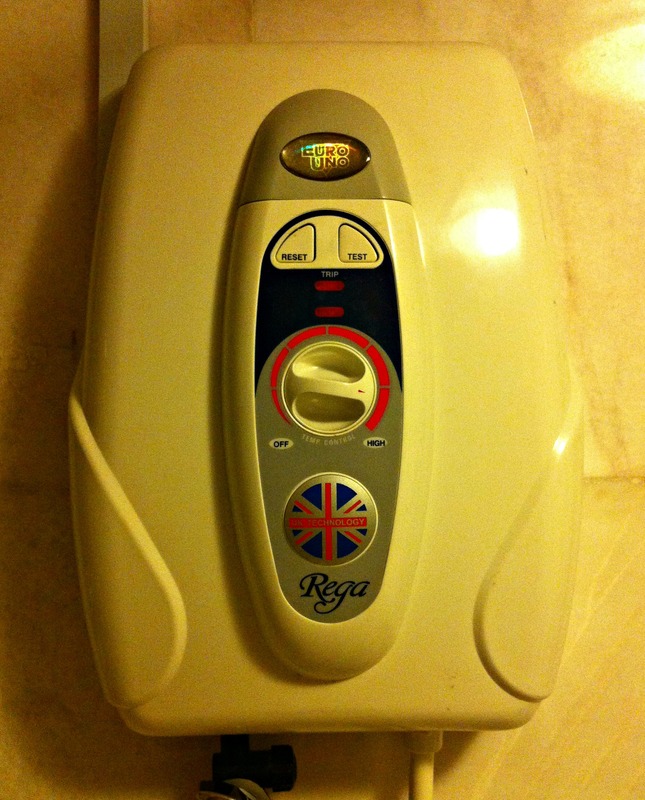 The actual water heater with power and dial for temperature. The showers in Japan, by the way, were also similar to the ones in Bali, and now, here in Malaysia. They are set up to basically be heated by a small water heater that is turned on before you use the shower. This allows energy to be conserved and for the water to get nice and hot only when you need it. They also have a dial or push button to turn the temperature up and down so you can adjust them as you need a change in heat. I’ve found them quite useful and I’ve yet to have a cold shower with them. By the way, not just the shower, but our whole apartment in Beijing is set to use an on-demand water heater and it is fantastic. They are also very inexpensive to buy here in China and cost about 1/5 the price of on-demand water heaters in America. I really don’t have any idea why they cost so much in America and hopefully the prices will decrease as they become more accepted.